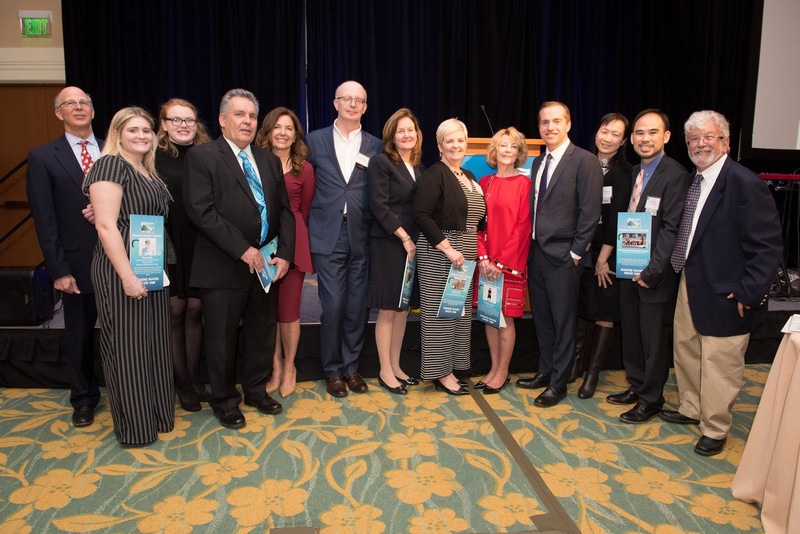 On Thursday, March 28, 500 corporate and civic leaders, elected officials, community partners, and Save the Harbor/Save the Bay supporters gathered at the Seaport Hotel for Destination Boston Harbor, Save the Harbor's annual fundraising gala. 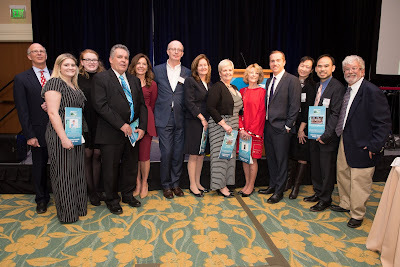 This event celebrated a year of on-the-water programming that connects millions of the region's residents and visitors to Boston Harbor, the Harbor Islands, the region's public beaches, and waterfront communities, and reflected on the investments and improvements in access to clean water for all. Shelagh Mahoney, Eastern Salt Company, Inc. This year's event was particularly special as it included several tributes to the contributions and hard work of Patty Foley, who has retired after 20 years as President of Save the Harbor/Save the Bay. 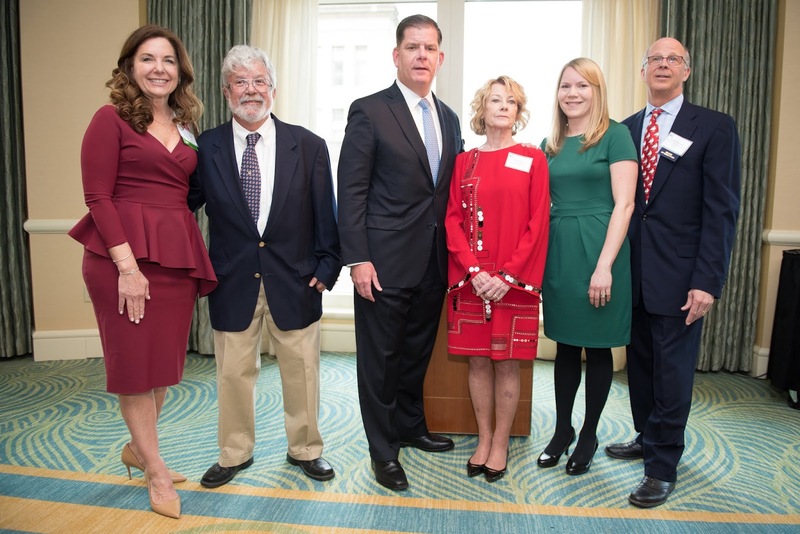 Mayor Walsh began by reflecting on his work with Foley during his time serving in Massachusetts Legislature as the Representative from Dorchester. He credited her with educating him about the challenges faced by the neighborhood beaches and being a tireless advocate for the investing resources for their improvement. Mayor Walsh also reflected on the threat posed by climate change and the need to work collaboratively with organizations such as Save the Harbor to ensure resiliency for future generations. A video tribute included remarks from Paul Grogan of the Boston Foundation, Charlayne Murrell-Smith of the Boston Children’s Foundation, Bill Delahunt of The Delahunt Group, Ronda McCloud of JetBlue, Harold Sparrow of the Greater Hartford YMCA, Robert Travaglini of Travaglini, Eisenberg, and Kiley, Joe Newman, Tani Marinovich, and Bruce Berman of Save the Harbor and Foley's husband. Finally, former Massachusetts Senate President Robert Travaglini and former State Senator Jack Hart reflected on their work with Foley through the Metropolitan Beaches Commission which was first created in 2006 to report on the challenges and needs of the region's state-owned beaches. Travaglini, Hart, and Susan Tracy of The Strategy Group and Save the Harbor's Board of Directors then asked attendees to consider a gift to the Patty Foley Legacy Fund. Marinovich thanked everyone for their support, for making 2019 the most successful Destination Boston Harbor ever with more than $750,000 raised for continued advocacy for, and programming on, Boston Harbor, the harbor islands and the regions beaches. Save the Harbor would like to thank all of our sponsors, silent auction donors, and supporters including presenting sponsor Wells Fargo for the support of the important work we to restore and preserve Boston Harbor for future generations.